HostForLIFE.eu supports Sitefinity 8.1 hosting on our latest Windows Server and this service is available to all our new and existing customers. Sitefinity 8.1 offers a natural extension to all your SharePoint workflows and wrap a compelling presentation around your core business documents. Contextual task-oriented approach to organizing documentation on any topic. What is European Sitefinity 8.1 Hosting? Telerik Sitefinity CMS 8.1 provides an innovative translation management solution that enables you to deliver multilingual content anywhere in the world. You can delegate localization to agencies and services to provide expert translations. Simply select the content to be translated and Sitefinity will generate the industry standard XLIFF format, integrate with your agency’s FTP server or automatically connect with services such as Lionbridge Freeway and translations.com. Sitefinity CMS offers you the ability to export content in XLIFF files that can be sent for translation and when ready imported back into the CMS. You can also integrate with the FTP server of a translation agency, so that all XLIFF files are sent to the FTP server automatically, and imported back into Sitefinity CMS, when ready. 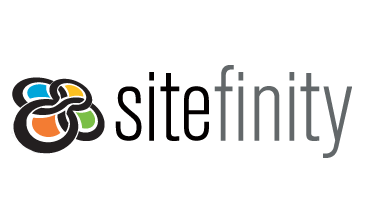 Why Choose HostForLIFE.eu for Sitefinity 8.1 Hosting? Try our Free Sitefinity 8.1 Hosting today and your account will be setup soon! You can also take advantage of our Windows & ASP.NET Hosting support with Unlimited Domain, Unlimited Bandwidth, Unlimited Disk Space, etc. You will not be charged a cent for trying our service for the next 3 days. Once your trial period is complete, you decide whether you'd like to continue.